The pair have mated several times in the course of a two day period. 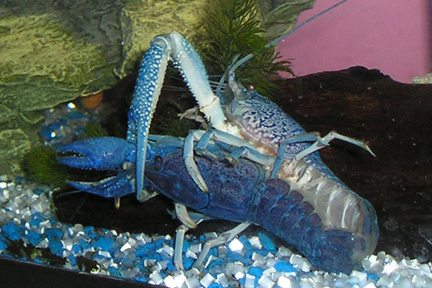 They are currently residing in separate tanks, and hopefully the female will produce a berry from this encounter. This project's goal is a dark blue coloration, which should yield fairly decent results as both parents are beautiful and vivid shades of blue. 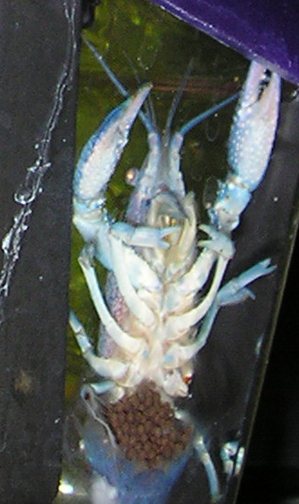 Sept. 10, 2008 Update: Sapphire has a big, fat tail full of eggs! Approx. 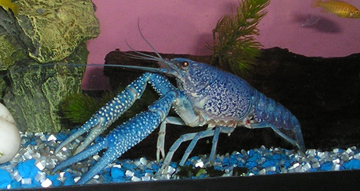 20-30 days from now I should have baby Procambarus alleni hatching!